Year Book Photos Help Us Remember! 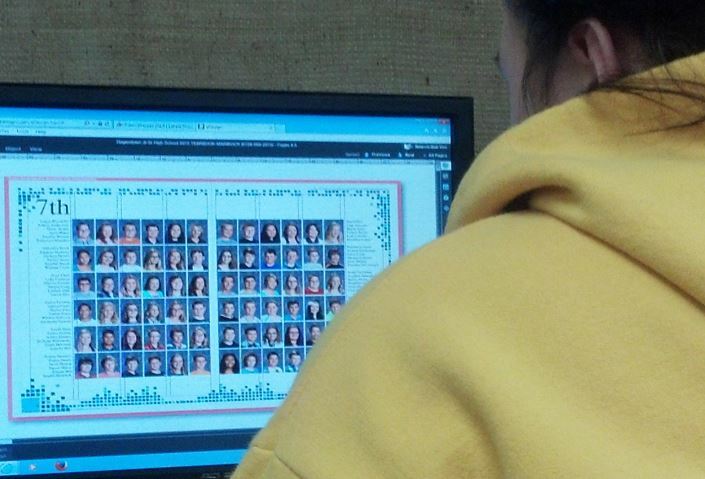 Ms. Isaacs deserves a tip of the Tiger’s tail for arranging the details of Yearbook Picture Day on Monday at HES. Talk about the need for flexibility! She shares that the photographer will visit each class for candids and a picture of each class. Student groups and clubs will be gathered in the front entryway for snaps through the day as well. Thank you, Ms. Isaacs, for putting this together. Though taking these photos can be a little inconvenient today, when they make it in the yearbook, they’ll outlast us all. Here is a candid of the Farm Shop class from the 1926 Epitome. Where are they now? Previous: HJr./Sr.H Goes From Good To Great! Next: Students GROW @ THE CREEK!